In the first week of December, we should see a new LSL function: llReplaceAgentEnvironment. This function only runs from an Experience enabled script… meaning it has to be part of an Experience. The main viewer is 6.0.0.520636, which came out in week #46. Second Life Love Me Render Viewer version 5.1.10.521635 – Last updated in week #46. Second Life Maintenance Viewer version 6.0.1.521757 – NEW – Updated this week. Second Life Project Bakes On Mesh Viewer version 5.1.10.520711 – Last updated in week #44. Second Life Project EEP Viewer version 6.0.0.521803 – NEW – The previous version 5.1.10.521312 updated in week #45. Along with possible bug fixes, the updated viewers are getting Animesh support. The v6 versions have Animesh. Black Dragon 3.3.4 – (announcement) Dragon has had Animesh for some time. This version has a number of bug fixes. Plus the Windlight, Snapshot, group profiles, place profiles, and conversations panels have layout changes. The AVX2 experiment is apparently over, having not worked. Kokua Viewer 6.0.0 – (announcement) This version adds Animesh. About a half dozen new features have been added. The Lindens are running The Winter Swaginator Hunt. Details here. This is hunt like the SL15B hunt. I suspect the prizes will be fun but corny. Only runs 5 weeks. 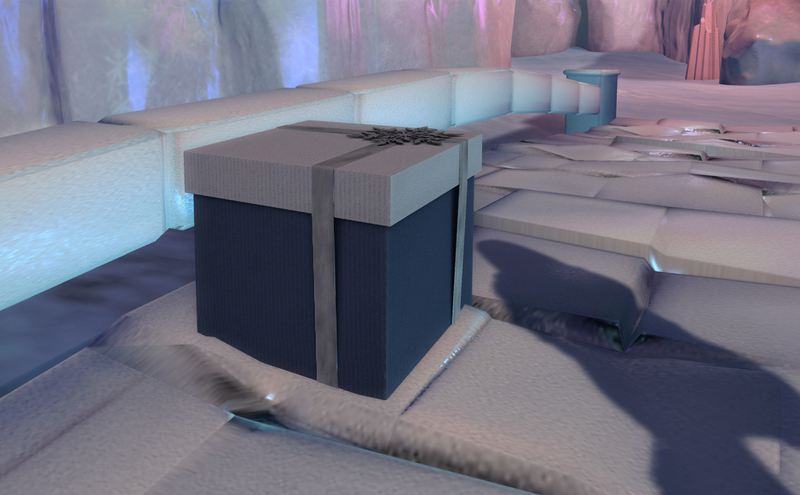 The first hint takes you into the Linden Portals’ Winter Wonderland. I did find the gift. It took some looking. The place is big. Lots to search. The image shows the box you are looking for. Nice stuff. But, nothing I needed or wanted. Star Citizen – This is an EVE Online like space-game. I am somewhat intrigued by it. I played with it in a previous free-play period. They have a free-play period in progress now. Massively Over Powered keeps up on the goings on there. Today they are quoting Chris Roberts the chairman of Roberts Space Industries (RSI), the crowdfunded company, to the tune of US$200 million, making the game. In his comments, he says they are the most transparent game maker in the business with multiple development updates each week. I suspect he doesn’t know much about Second Life and the various user groups the Lindens participate in. As to who is the more transparent, that is debatable. One would have to know the dirty laundry of both companies to make an objective evaluation of who is and isn’t transparent. However, I think the Lab is about as open as RSI or possibly more so. The Lab’s participation in the eight regularly scheduled user group meetings, of which four are weekly, and occasional Town Hall and other events put them in the running for a top communicative game company. Energy – It takes electricity to play in the virtual worlds running inside computers. We aren’t the human batteries of Matrix. That energy has to come from somewhere in our physical world. 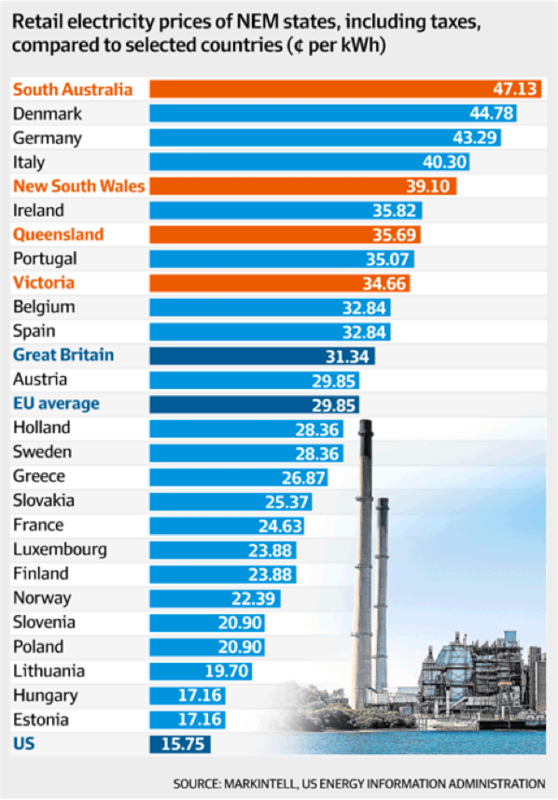 Wherever you live, there is a Socialist-Progressive-Liberal planning to increase your energy costs by huge amounts. The UN is recommending taxes to drive the cost of gasoline to US$240 per gallon… (ref) In the US by 2030 $49/gallon is the target price. In California, electrical costs will increase… have increased by 80%… and the California Attorney General mislabeled and lied in the Prop 6 ballot description to save the current gasoline tax. (ref) Europe is already seeing their poor freezing to death in winter. (ref, ref) I suppose that is one way to deal with what the UN thinks is overpopulation. Gasoline and energy taxes are the most regressive taxes governments impose. They take a larger percentage of low incomes making life more difficult for middle and low-income families. They are antithetic to progressive ideology, yet it is the supposedly progressive side pushing them. A blogging group named IceCap is fighting the current stupidity. Check out their articles, vet them, and then please donate. This entry was posted in Black Dragon, Kokua Viewer, Scripting, Second Life, Server, SLV2, 3, 4, 5, & 6 Series, Viewers and tagged Star Citizen. Bookmark the permalink. Have you recently had a video card driver update? Years ago a a gpu update screwed up my UI and features available in Adobe Photoshop so that might be your issue rather than an Adobe update. Just something to check on the off-chance. It isn’t the NVIDIA driver. Hundreds of people that updated to 2019 have the same problem. Video driver updates and rollbacks have not helped.